Lifestyle and wedding photographer based in Columbus, Ohio best known for his style of studio portraits and dramatic lighting effects to capture the essence of his clients. High-end floral galleria that provides exordinary design services for astute clientele. Social photo booth with eye catching backdrops that brings creative pictures and GIFs to life at any event. Columbus, Ohio based entertainment company that features a R&B, Hip-Hop, funk-infused band (with a DJ), The Free Agents. Comanation Entertainment can also service your catering, sound and photography needs for your next event. Family owned bakery that provides custom and tasteful cakes, cupcakes, cookies and much more. Executive clothier that specializes in custom suits and shirts that make the upscale man stand out. Online accessories store that specializes in unique handmade lapel flowers for men and women. 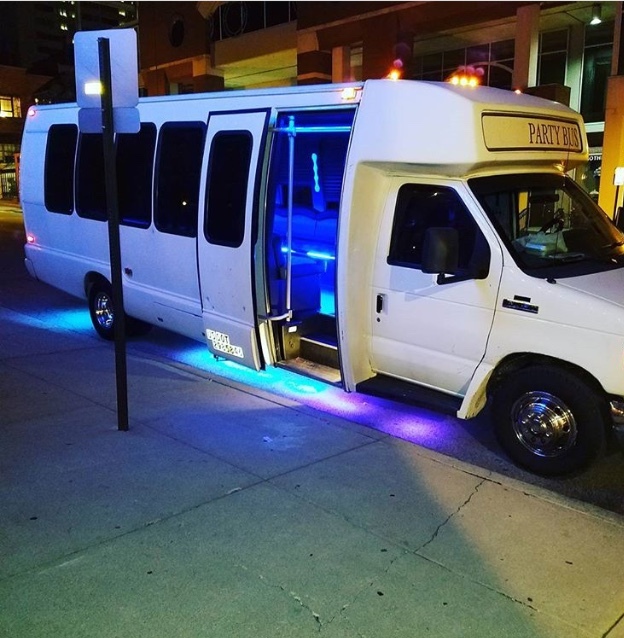 Luxury 22 passenger party bus available for rent for all occasions. Columbus, Ohio based company that plans marriage proposals, fantasy weddings and creative parties that celebrate all moments in between. X-Clusive also offers day of wedding coordination and decorating services.